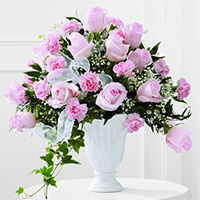 Essie Hailstock Lomax Service Details - Greenville, South Carolina | Watkins Garrett & Woods Mortuary Inc.
— Watkins Garrett & Woods Mortuary Inc.
Ms. Essie L. “Cile” Hailstock Lomax, 77, of 309 Ackley Road in Greenville, South Carolina, passed on Monday,November 5, 2018, at McCall Hospice House. She was a daughter of the late Rossie Leroy Hailstock and Elverta Grigsby Hailstock. She was employed at Greenville Health Systems as a Certified Nursing Assistant, and retired from Roger C. Peace Rehabilitation as a Ward Secretary. She was a healthcare provider for her family and friends for numerous years. 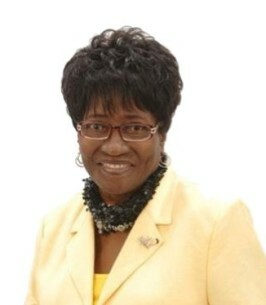 For many years she was a member of Hallmark Baptist Church and presently at New Covenant Baptist Church. Among all of her accomplishments, she was a faith servant of the Lord most of all. She was preceded in death by her son, Stavros Lequon Lomax; six sisters, Odessa H. Smoot, Minnie H. Lackey, Lillie Pearl Gambrell, Maggie Hailstock, Marie H. Leamon and Carrie Hailstock; and two brothers, Bennie Hailstock and Leroy Hailstock. Surviving are her husband of 24 years, Robert Louis Lomax, Sr., of Newberry; four daughters, Sheron Lomax Redmond of Greenville, Carolyn Lomax (Terry) Brown of Fountain Inn, Roberta Lomax (Dr. Charles) Davis of Mauldin, and Kathy Lomax (Frank) Chandler of Taylors; one son, Rev. Robert Louis (Sharon) Lomax, Jr., of Greenville; three sisters, Sarah Byrd, Mary Alyce Hailstock and Elverta Hailstock, all of Greenville; one brother, Billy Ray (Anne) Hailstock of Greenville; 10 grandchildren, Kenisha Redmond Thompson, Chavis Lomax, John Redmond, Jr., Maurice Lomax, Shironica Lomax, Persephanie Witcher, Charve’ Bland Marquita Lomax, Ruben Josiah Lomax and Terry Brown, Jr.; 19 great-grandchildren; several step grandchildren; special sister-in-law, Janis Ree Gary; two other sisters-in-law, Lucille Fowler and Mollie Bar; a devoted friend, Amy Wright; and a host of other relatives and friends. We encourage you to share any memorable photos or stories about Essie Hailstock. All tributes placed on and purchased through this memorial website will remain on in perpetuity for future generations. I am very sorry for the recent loss of your dear loved one,Mrs. Essie. I have a brief encouraging message I would like to share with you from the Bible. The Bible can be a great source of both comfort and hope during this most difficult time in your lives. For an example, at Revelation 21:3-5 it assures us that the day is soon coming when our most loving Heavenly Father is going to wipe away the tears of sorrow from our eyes and that even pain and death will be no more. I hope after reading this it will be of some comfort to each one of you. May you think of the beautiful memories that you shared with Mrs. Essie, and cherish those precious moments. If later you would like to learn more from the Bible about why we die or why does a loving God allow so much suffering and injustice, please feel free to go to the website: JW.org to find satisfying answers. Our thoughts and prayers are with you in this your time of sorrow. Continue to look to the hills from whence your help comes, and know that God is a very present help. So sorry to hear about your loss! Prayers and love to your family during this difficult time! So sorry for you loss. Love you! Hope you find peace and closure during this difficult time. With sincere condolences. May God Bless You all through your loss. The Space4Grace Team are saddened to hear of the loss of you dear loved one. We sends our love and prayers to Lady Roberta Davis and Family.